A first for 75mm Production. 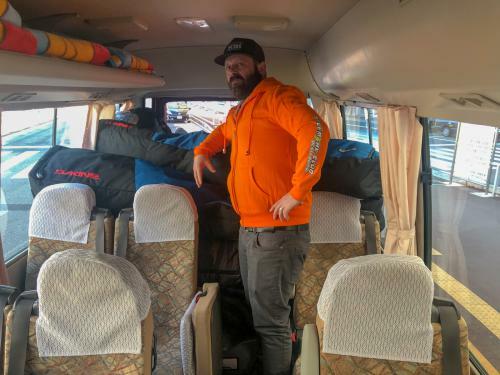 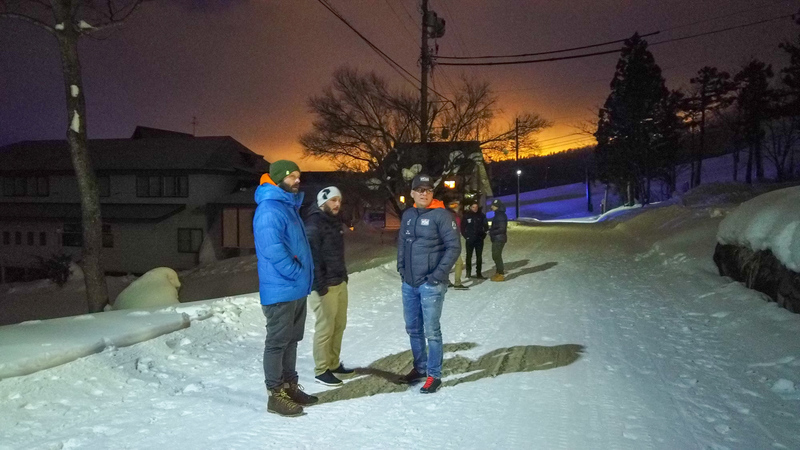 We’ve moved to Japan with our friends from Telemark. 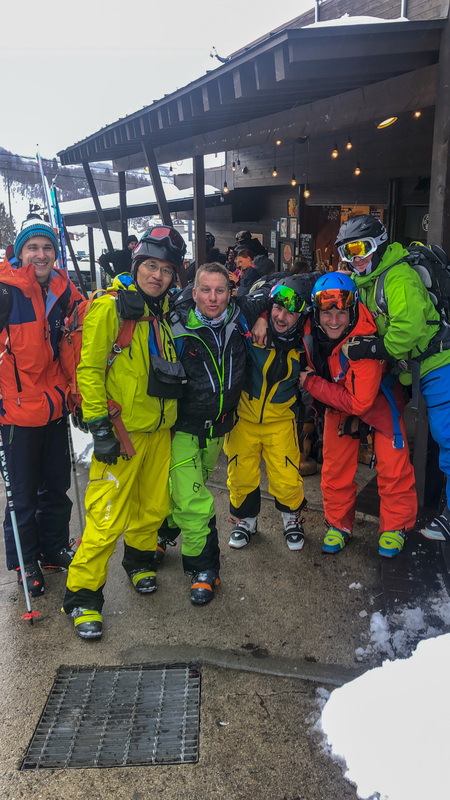 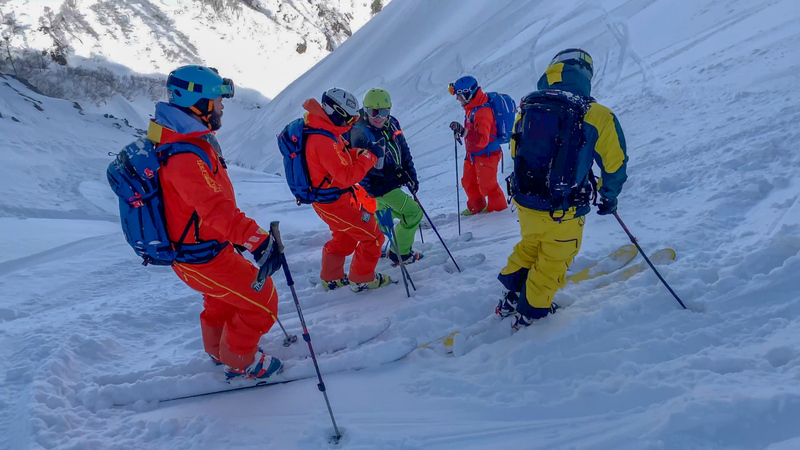 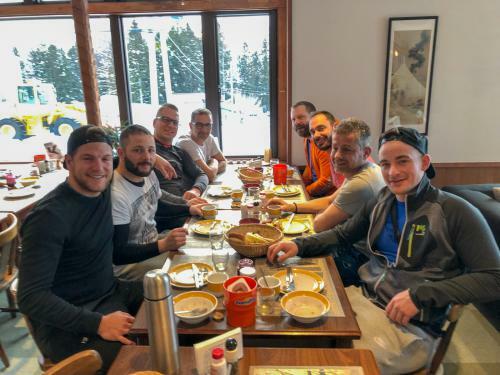 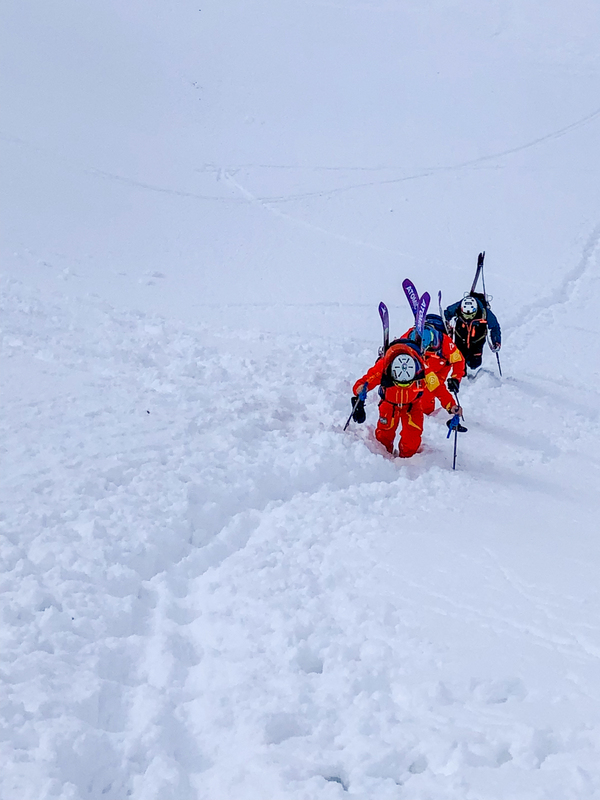 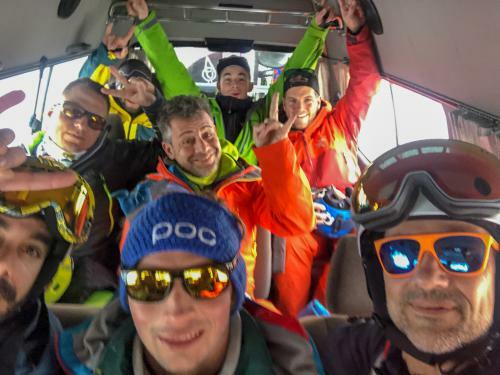 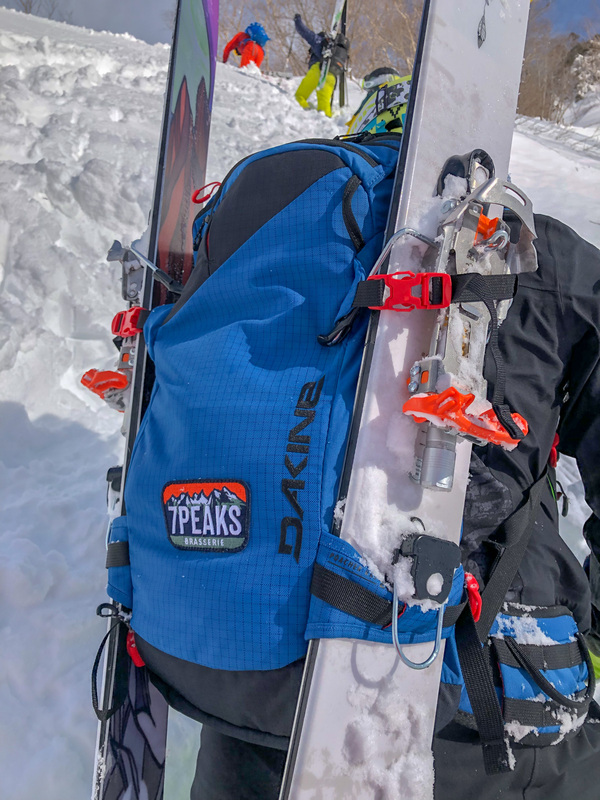 Club Dents du Midi and Team La Cuisse Chaude (Hot thighs team), discovering the famous backcountry places of this country. A wonderful week for our 8 telemarkers. 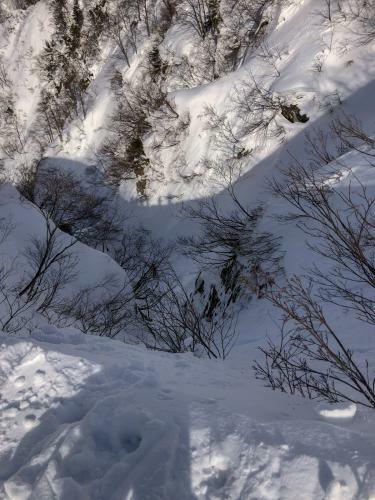 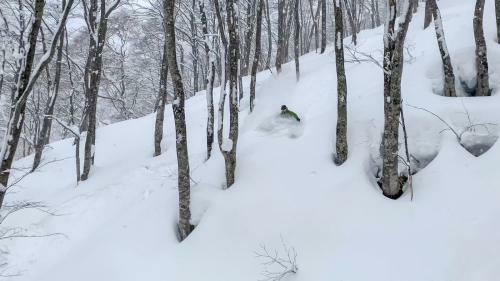 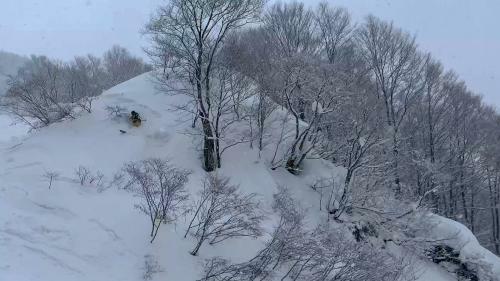 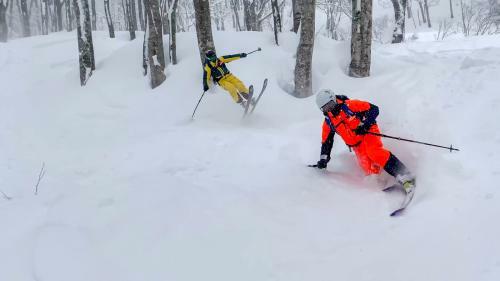 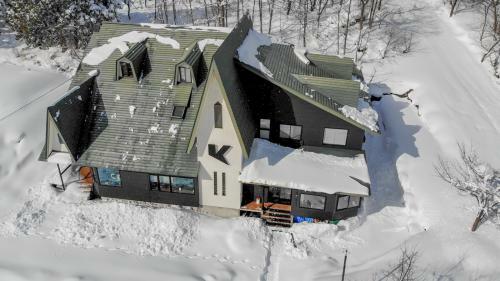 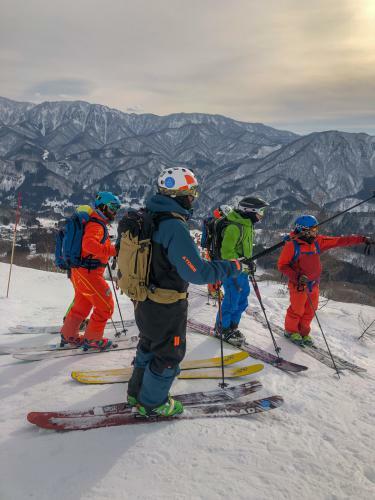 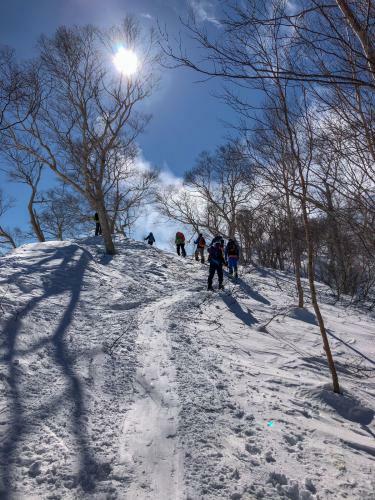 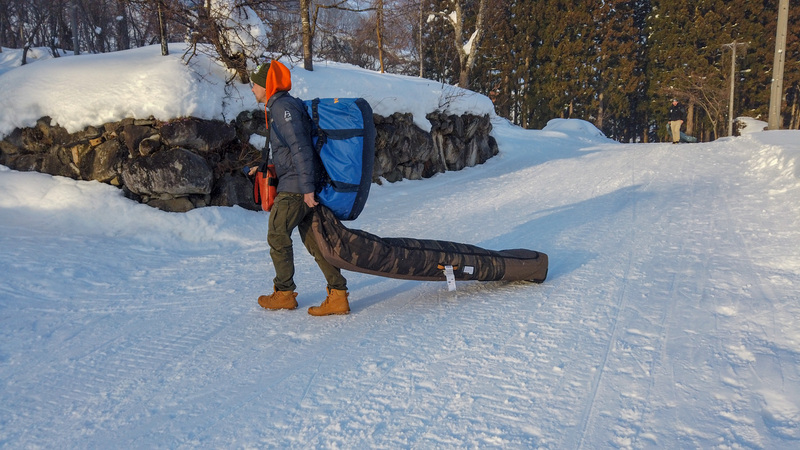 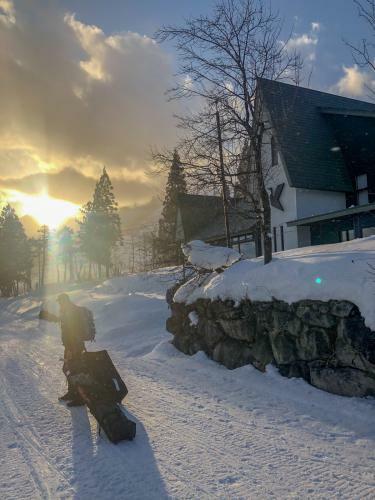 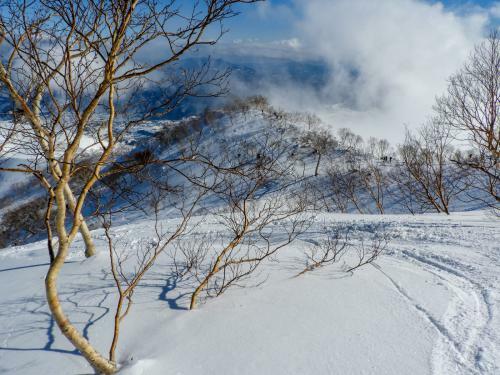 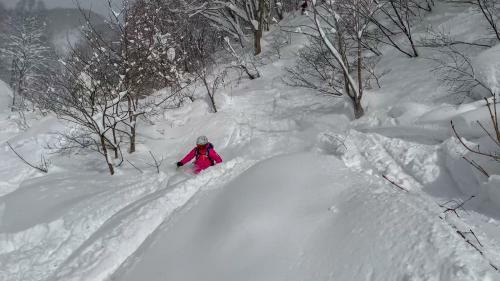 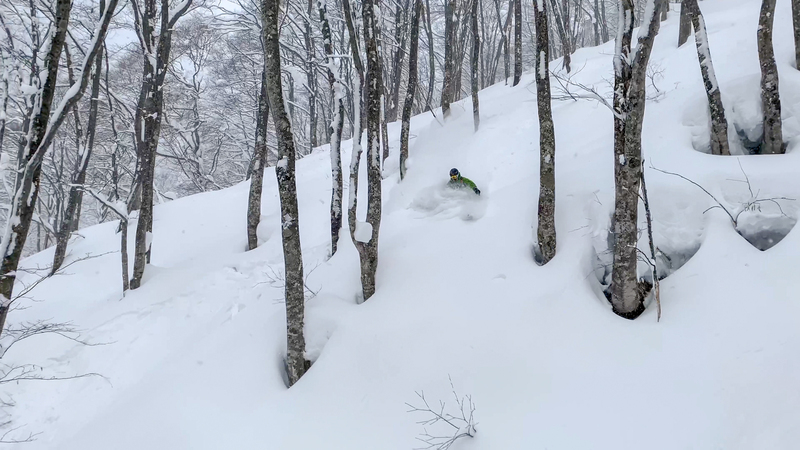 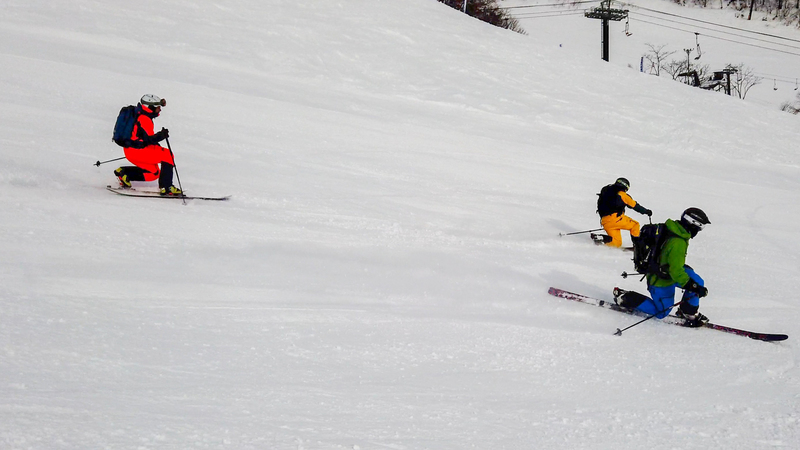 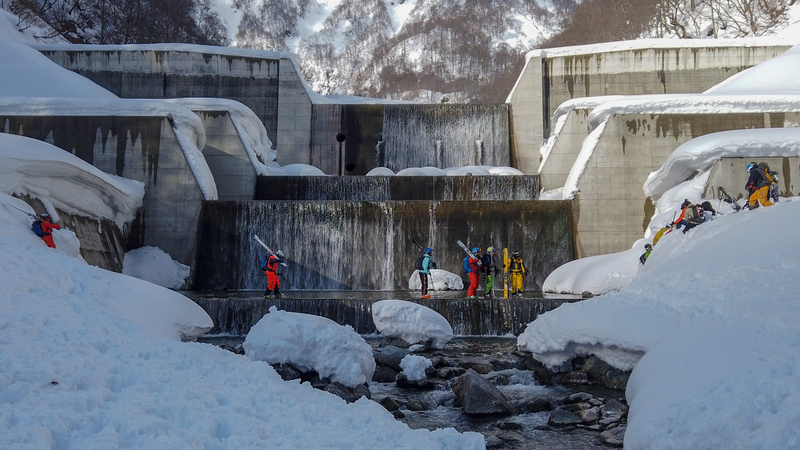 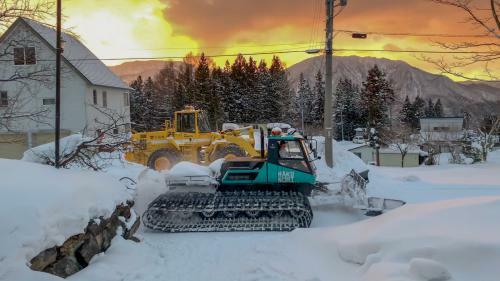 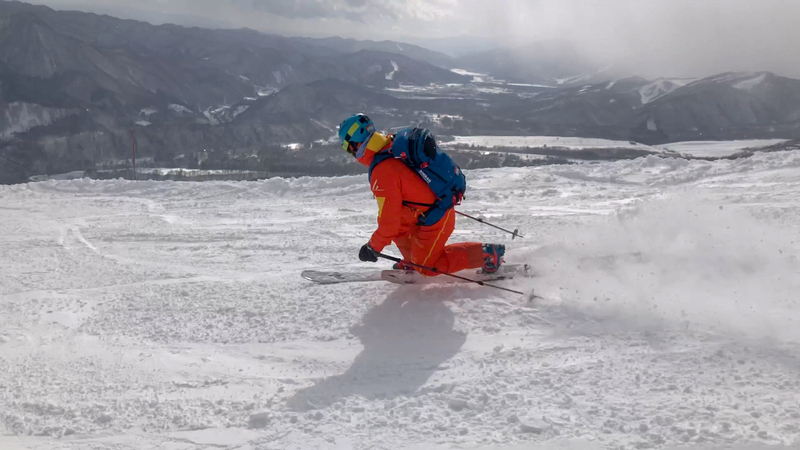 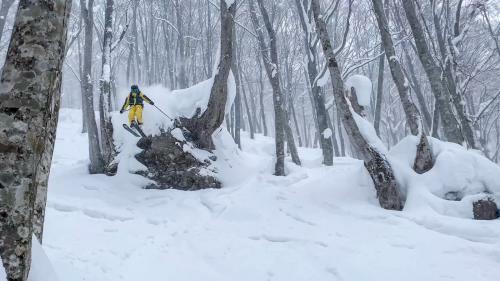 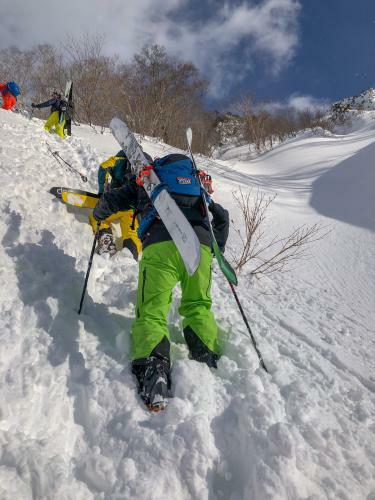 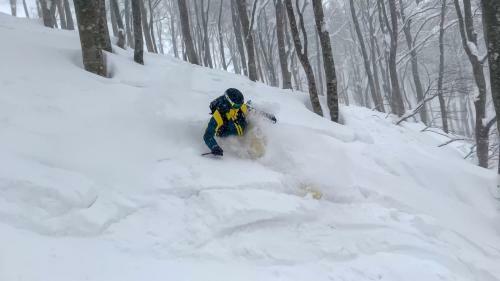 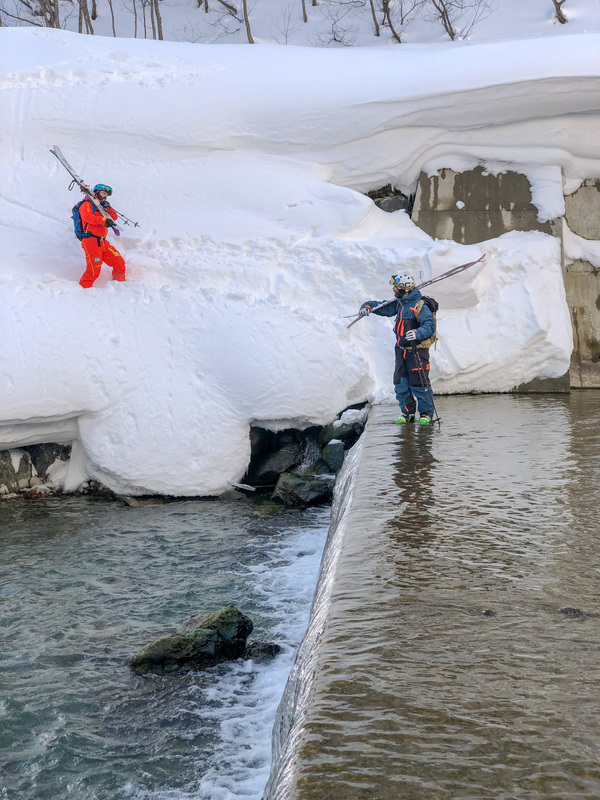 Housed at Kodama Lodge in the Hakuba Valley, a few meters from the departure of the facilities. 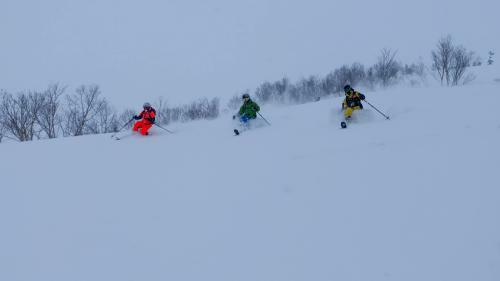 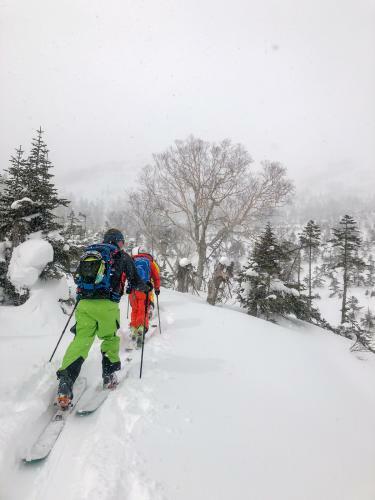 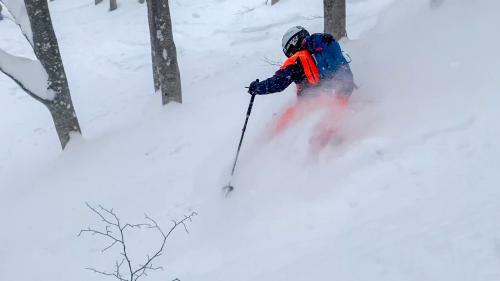 The lack of snow early in the week pushed us to ski touring to find the small powdery fields. The arrival of the snowfalls filled us, and we were then able to do sets and runs in the birch forests. 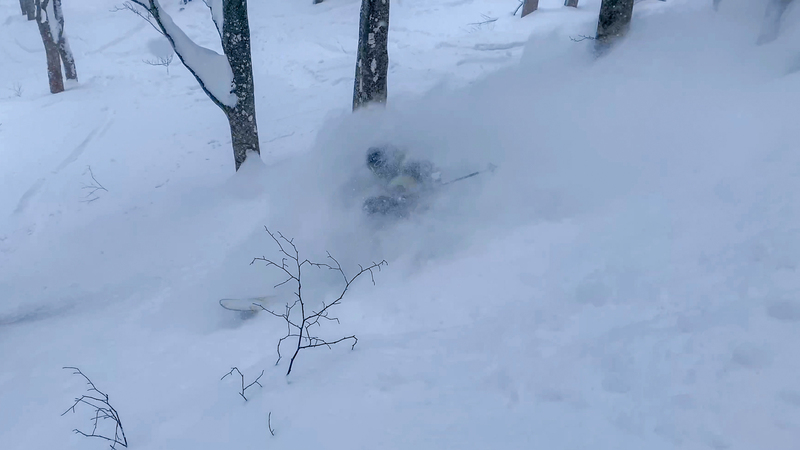 Watch out for trees! 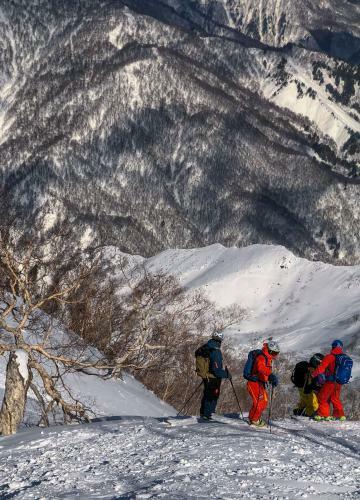 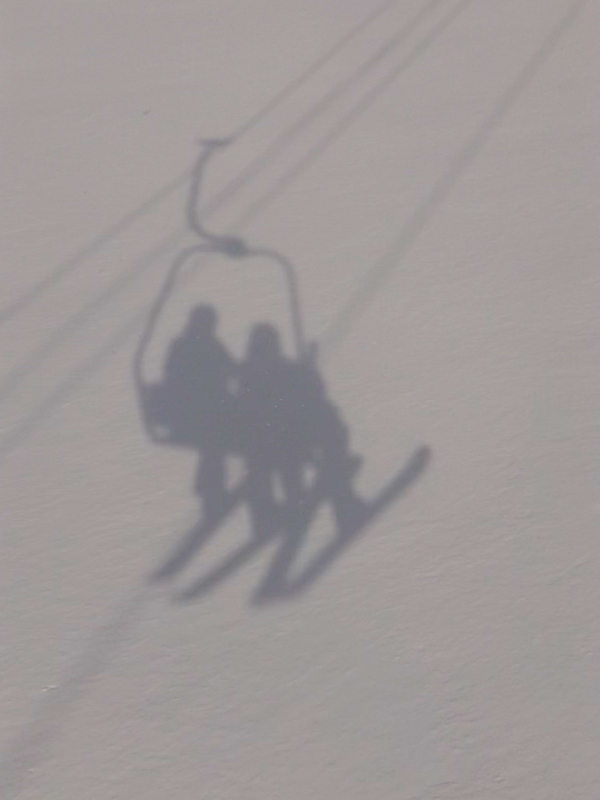 Between powder, forests, ski touring, itinerary errors, rivers to cross, we were full of memories! A wonderful experience. Many thanks to Géraldine and Simon for their welcome and tips. 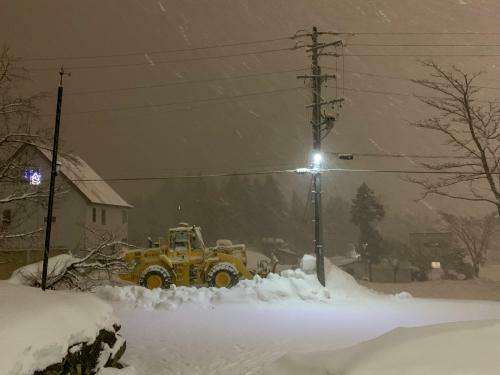 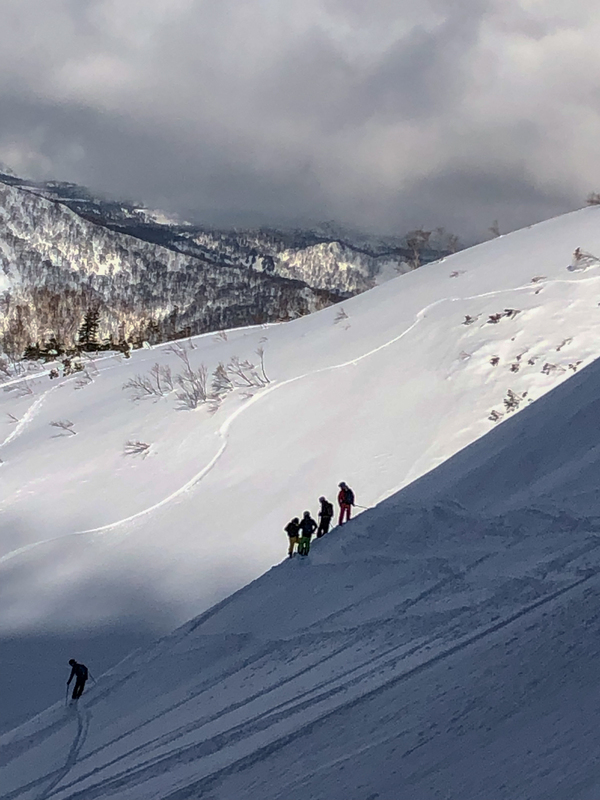 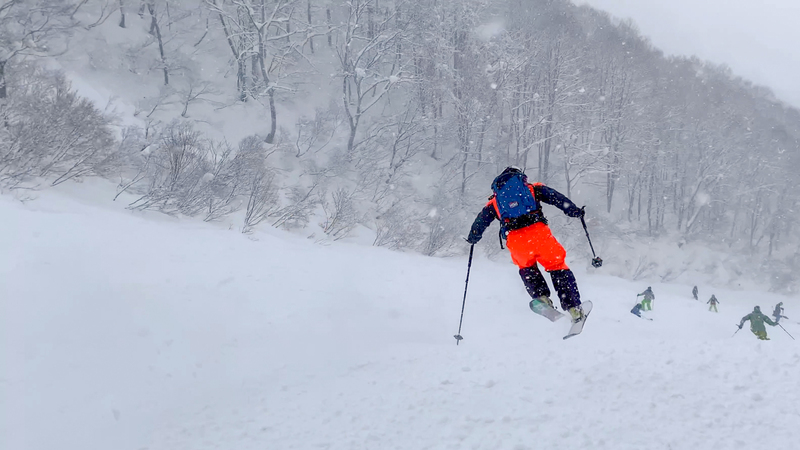 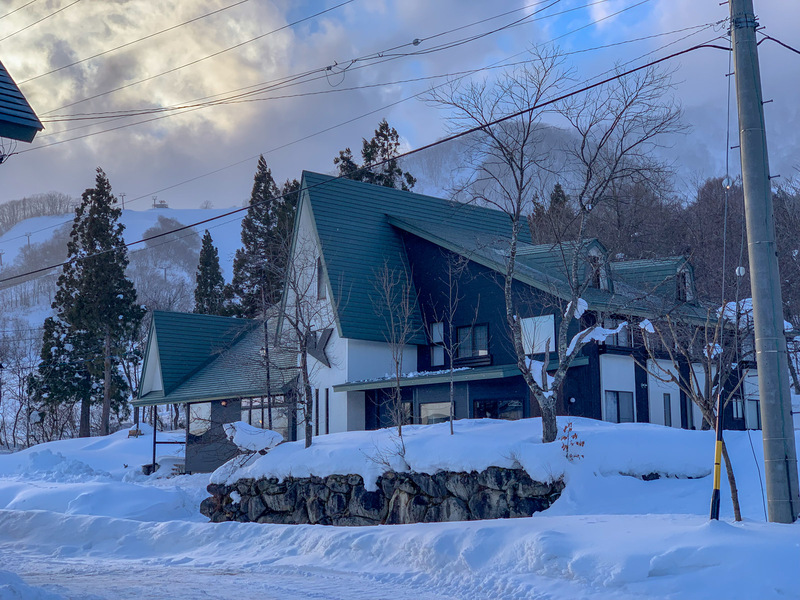 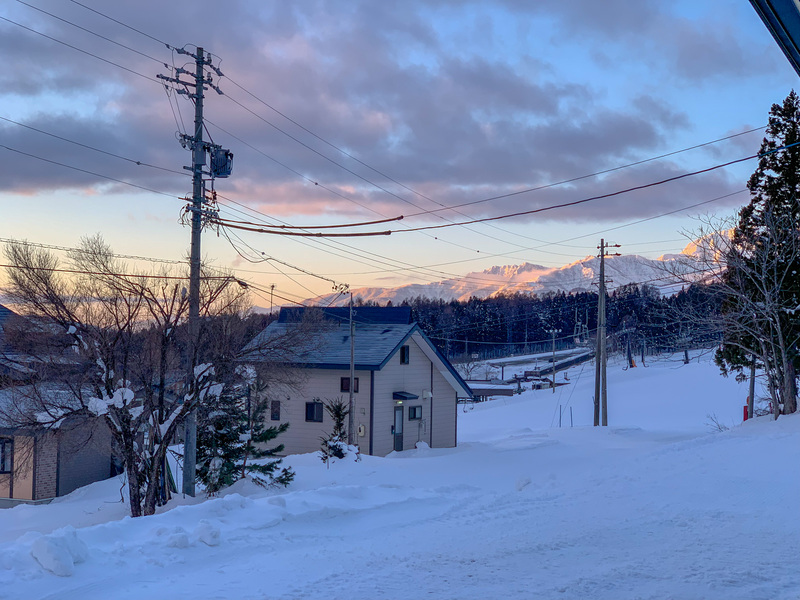 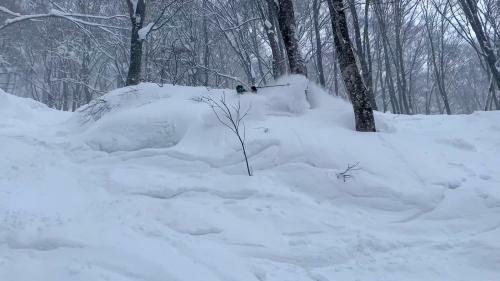 Sunday, January 13, 4PM, after 13h of flight, 5h on the bus, the removal of an airbag cartridge at the Zurich airport, a few drinks and a few naps, we finally arrive at Kodama Lodge in the Hakuba Valley in 1h30 from Nagano. Taking rooms, unpacking equipment, welcome drink! 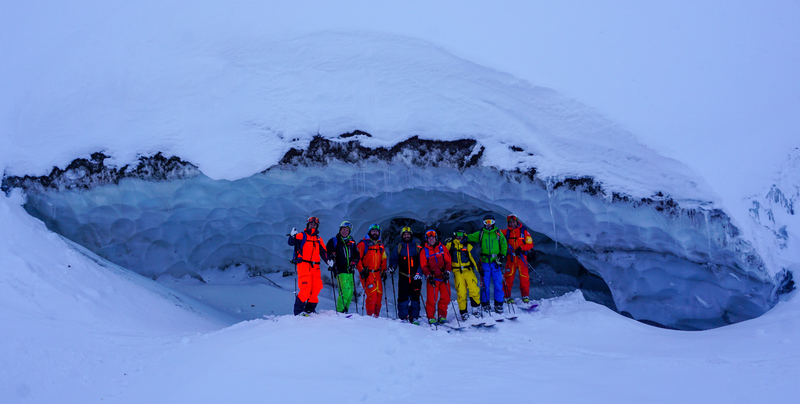 It’s a pleasure to see Géraldine and Simon, our Swiss friends, owners of the lodge. It’s been 5 days since it didn’t snow in the valley, must to go up in ski touring to find an ideal spot, something we do from the first day. 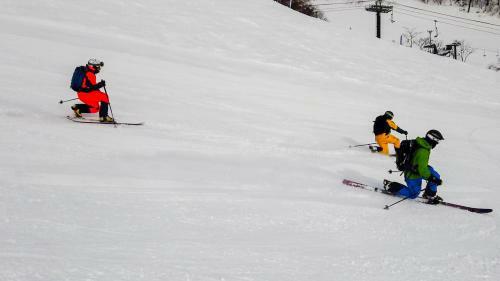 A nice climb (not obvious for everyone, huh Marc ?!). 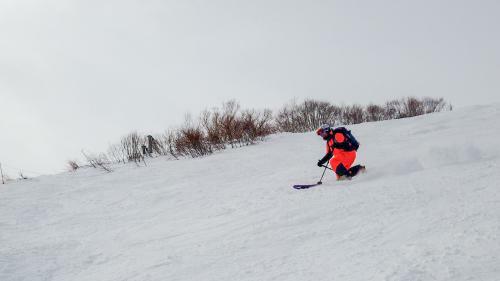 Place now on the descent! 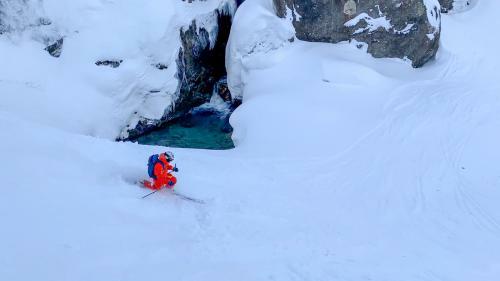 Thanks to Seb, met at the lodge and accompanying us today, we go down this north face to find ourselves face to face with an impassable waterfall. We must then go back around it, then we cross rivers and roads before finding a taxi. 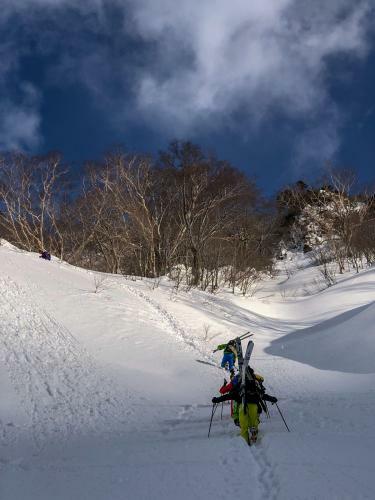 A long descent, very long ... The fatigue is present, the jetlag too ... 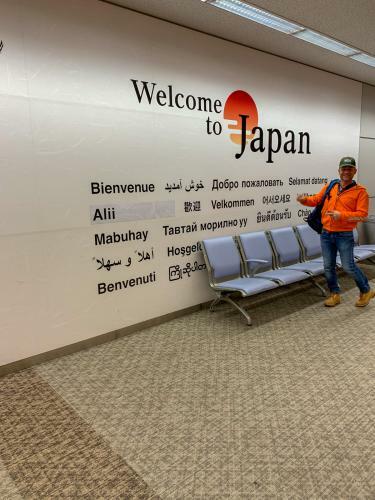 The memory machine is running. 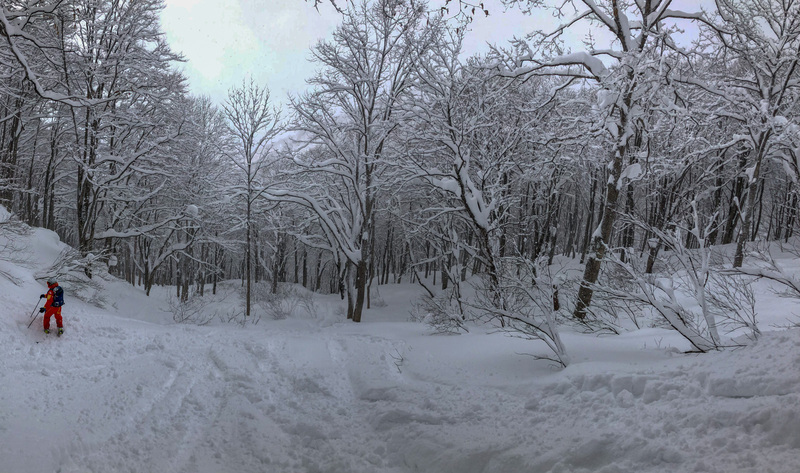 After a second day quieter, the snow finally arrives! The smiles appears. 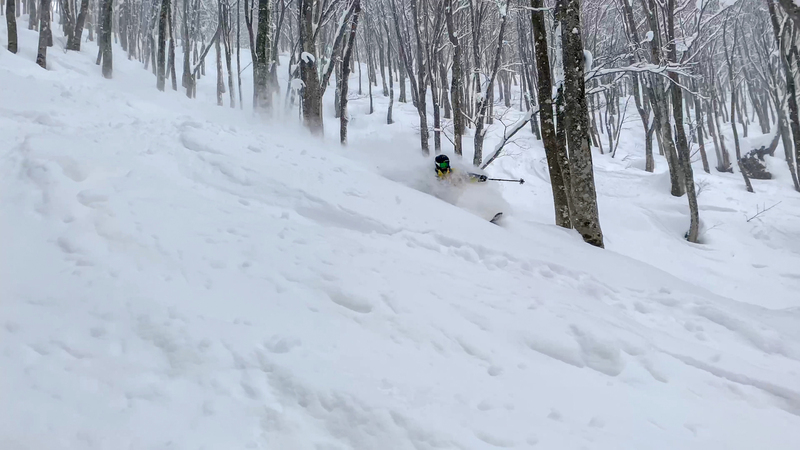 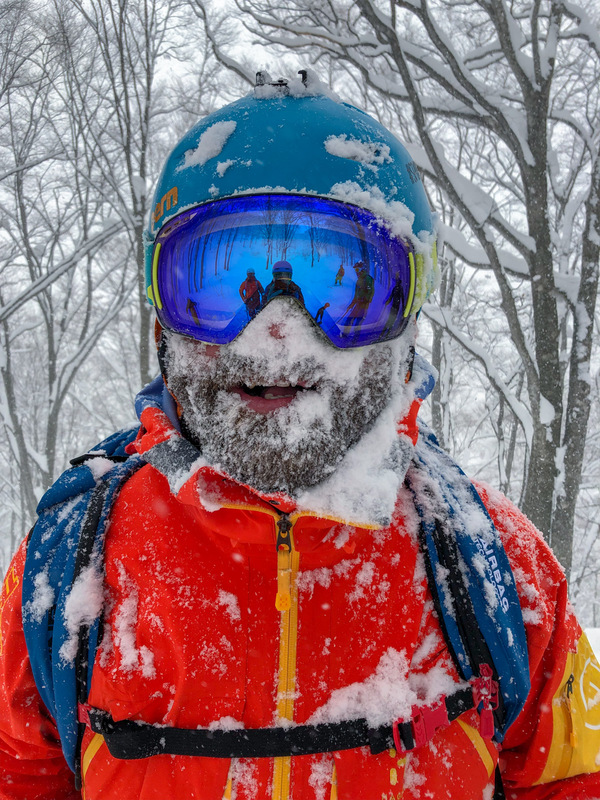 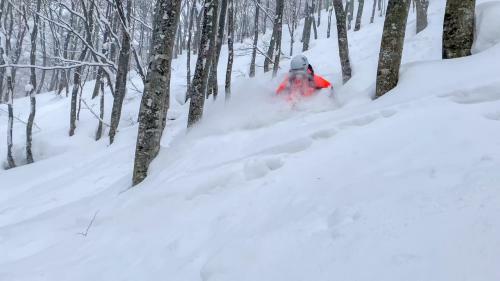 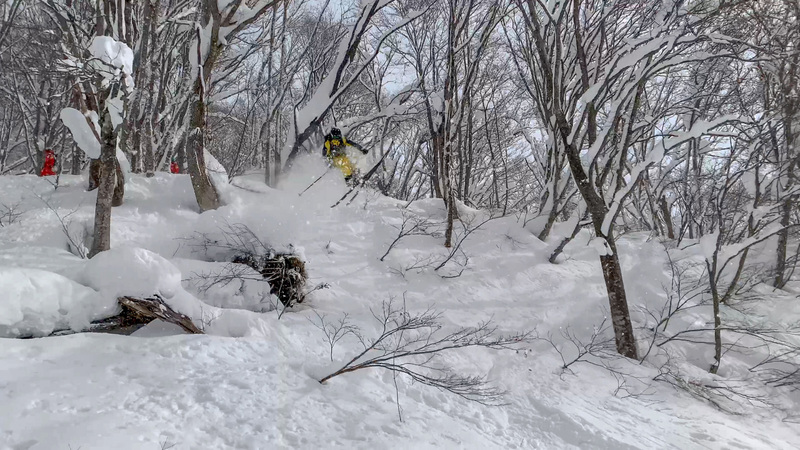 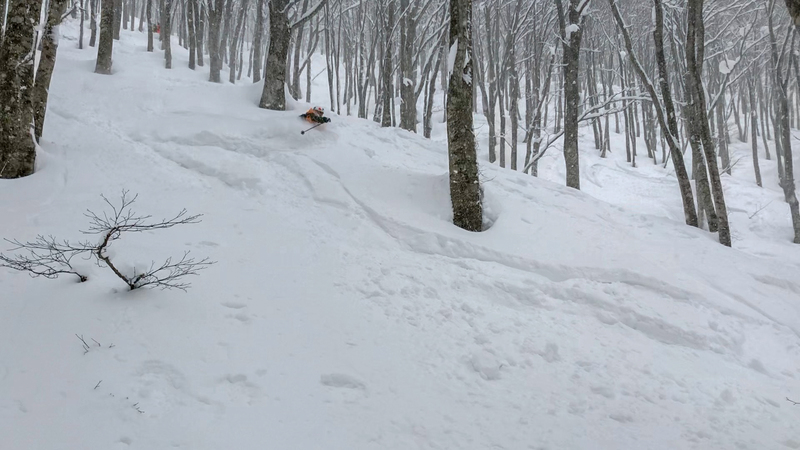 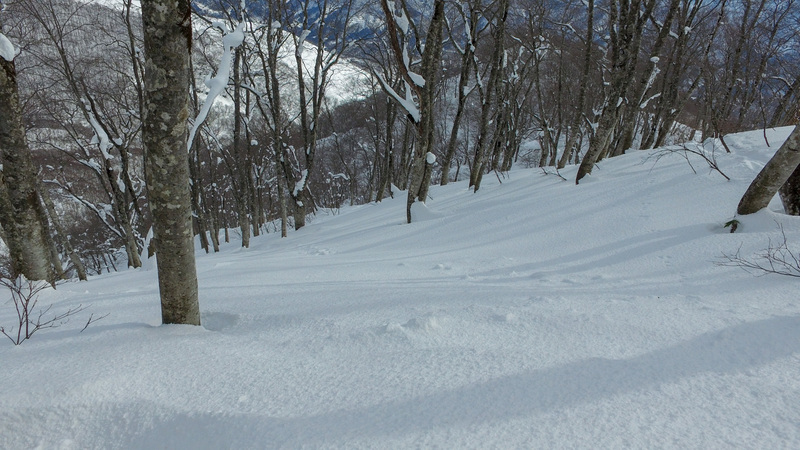 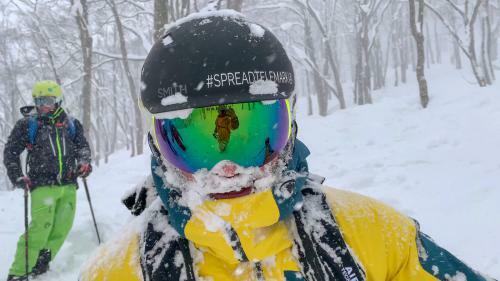 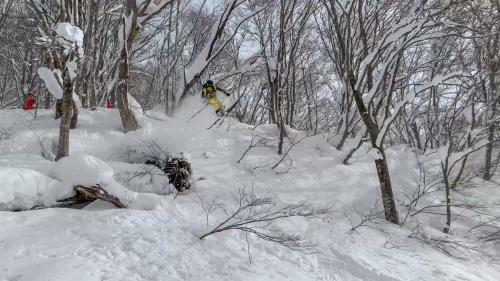 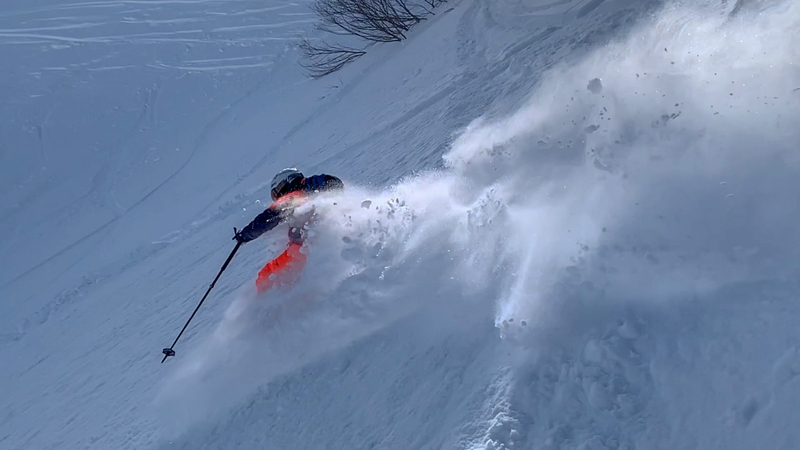 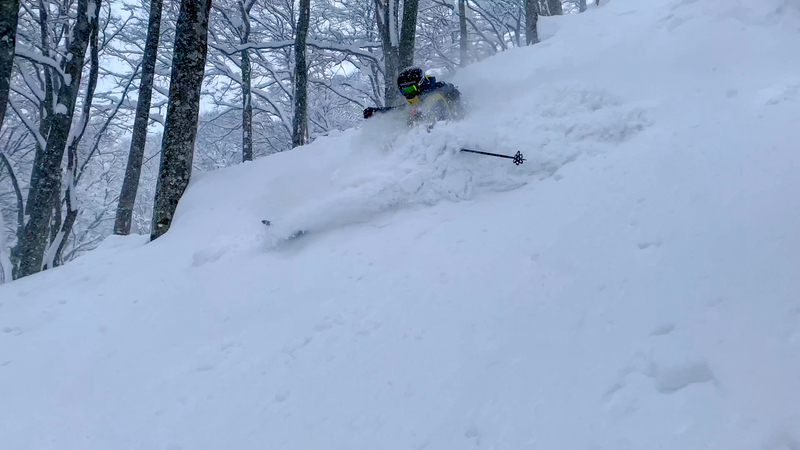 We stressed a little anyway… The layer of powder thickens, it’s true what we say: it snows a lot in Japan! 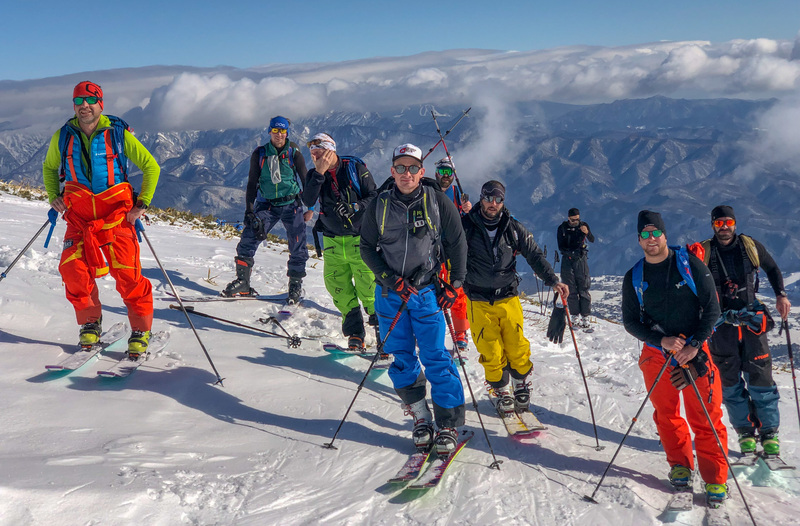 Friday, 15h, the «olds» store their stuff to enjoy visiting Tokyo, the «youngs» are still skiing on Saturday and join the big city at night. No more doubts, the trip comes to the end… A few more adventures to reach the airport and back to Switzerland. 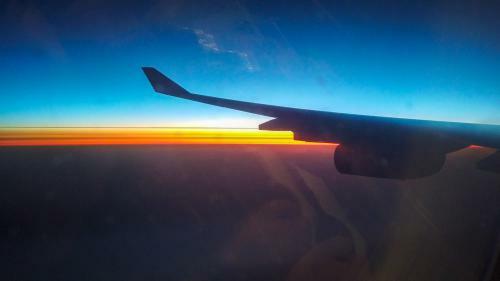 A wonderful trip, beautiful discoveries, a great atmosphere and full of memories in head. 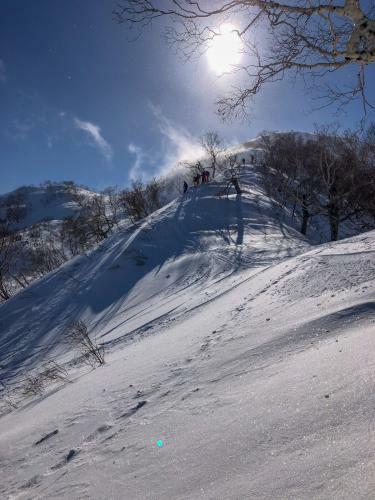 It succeeded !